NY: Coward-McCann, 1964. Tight, clean copy of the second impression of the first U.S. edition of this classic spy novel and still the author's best work to date. This was publlished in the same year as the first edition and in the same format (with four reviews on back panel). The book is tight and clean and the dust jacket shows no discernible flaws. Winner of the Edgar Award in year of publication. AUTHOR-Signed Bookplate affixed to the half-title page. 256 pp.. AUTHOR-SIGNED Bookplate laid in. Second Impression. Hard Cover. Very Good ++/Very Good ++. NY: Marian Wood Books/Putnam, 2010. Bound in black boards, stamped in copper in matching illustrated dust jacket. 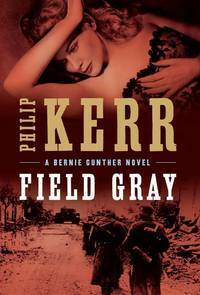 One of the better Bernie Gunther novels. Remainder stripe to bottom edge -- but overall a tight, clean "unread" copy. 437 pp. . Second Edition. Hard Cover. Near Fine/Near Fine. NY: Coward-McCann, 1964. Dustwrapper is price-clipped. A tight, clean copy of the true first U.S. edition of this classic spy novel and still, arguably, the author's best work to date. The true first-state dustwrapper (with only three blurbs on the back panel) is tight and clean. Basis for the popular movie that starred Richard Burton in the lead role. 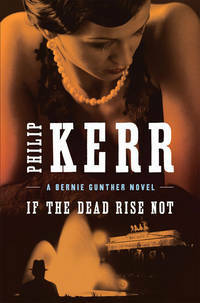 The author's third book and winner of the Edgar Award in year of publication. Signed by the author on a bookplate affixed to the half-title page.. Signed by Author. First Edition. Hard Cover. VG++/VG++ Price-Clipped. New York, New York, U.S.A.: Modern Library, 2003. 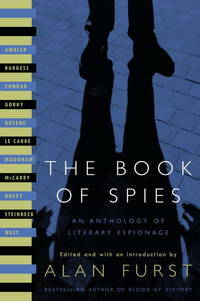 Tight, clean copy of the first edition of this great collection of spy stories, edited and with an introduction by Alan Furst. 374 pp.. First Edition. Hard Cover. Near Fine/Near Fine. 8vo - over 7¾" - 9¾" tall. NY: Random House, 1945. Bound in black cloth, stamped in blue and gold in matching dust jacket. A 248 pp. spy novel written at the end of the war. . First Edition. Hard Cover. Very Good +/Very Good. 12mo - over 6¾" - 7¾" tall. NY: Penguin Group (USA) Incorporated, 2011. Strange glue stain down the middle of the front ffep. (publisher's flaw). Overall, a most acceptable copy of this first edition of this espionage novel featuring Bernie Gunther. A classic read. 431 pp. . First American Edition. Hard Cover. Very Good/Very Good +. 8vo - over 7¾" - 9¾" tall. New York: Signet, 1966. First mass-market Signet paperback printing; Tight, clean copy with no flaws; 128pp.. First Edition. Soft Cover. Near Fine/No Jacket. NY: Penguin Group (USA) Incorporated, 2011. Tight, clean copy of the first edition of this espionage novel featuring Bernie Gunther. A classic read. 431 pp. . First American Edition. Hard Cover. Near Fine/Near Fine. 8vo - over 7¾" - 9¾" tall. New York, New York, U.S.A.: Mysterious Press, 1990. 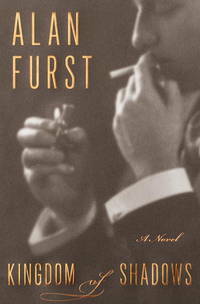 The true first U.S. edition of the author's first book (that was originally published in the U.K. in 1936). A tight, bright copy in dust jacket. 279 pp.. First American Edition. Hard Cover. Near Fine/Near Fine. 8vo - over 7¾" - 9¾" tall. London: Heinemann, 1962. Bound in black cloth, stamped in red and gold. This is a reprint in the publisher's Uniform Edition. This is #10 in the series . 268 pp. . First Edition. Hard Cover. Near Fine/No Jacket. London: Heinemann, 1962. Bound in black cloth, stamped in red and gold. This is a reprint in the publisher's Uniform Edition. This is #10 in the series . 268 pp. . First Edition. Hard Cover. VG++/VG+ - Price Clipped. Tampa, Fl. : New Media, 1984. A scarce copy of the magazine, Enterprise Incidents. Really a Star Trek magazine, but this 52 pp. special issue is a whole Bond issue. Hundreds of black and white photos from James Bond films. Quality production. . First Edition. Soft Cover. Good +/No Jacket. 4to - over 9¾" - 12" tall. Bowie, Md. : British Sec. Serv., 1974. Bound in yellow wraps, stapled. Some insect damage to front edge of cover. Overall, though, a very scarce James Bond collectible. With picture of Sean Connery on front cover. It appears to have been printed on an old mimeograph machine with varying colors of stock. 38 pp. . First Edition. Soft Cover. Good +/No Jacket. 4to - over 9¾" - 12" tall. Munchen, Germany: Goldmann, 1981. Bound in stiff, illustrated wraps. A 225 pp. 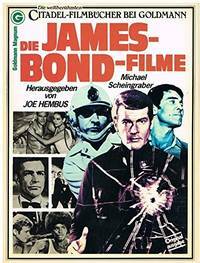 glossy magazine with with articles on all of the Bond Films (up to Moonraker) with hundreds of photographs from the films. Text is in German.. Third Printing. Soft Cover. Near Fine/No Jacket. 4to - over 9¾" - 12" tall. New York: Putnam, 2010. Bound in black and auburn boards with copper stamping. Repaired tear to dust jacket at bottom of spine. Remainder mark to bottom. The book itself is tight and clean. 437 pp.. First Edition. Hard Cover. Near Fine/Very Good. New York: Random House, 2001. Tight, clean copy of this, the author's sixth book. 239pp.. Third Edition. Hard Cover. VG++/VG++. Great Britain: Triad Panther, 1978. Shows light scuffing to spine ends and front fold. Shows small letter B in ink to front inside panel. First Triad edition.. Reprint. Soft Cover. Near Fine/No Jacket. Trade Paperback.